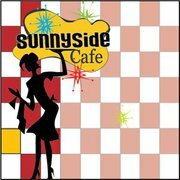 Join us this September in beautiful Parrsboro for ‘Sunnyside Cafe’ by Pam Calabrese MacLean. This Forerunner Playwrights’ Theatre production originally played at the 2009 Atlantic Fringe Festival to critical acclaim, and earned actress Sherry Smith a Merritt Award nomination. A haunting, tender, and beautiful production, this gem recounts the life, difficulties, and joys of a small-town waitress. Friday September 9 @ 8 p.m.
Saturday September 10 @ 2 p.m.
Sunday September 11 @ 2 p.m.